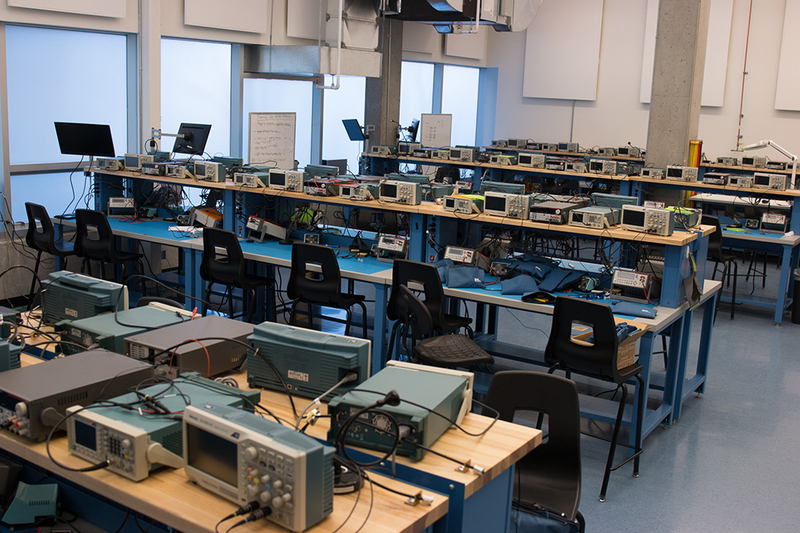 The recently renovated Instrumentation Lab is a 20 bench/40 seat electronics lab currently used for Mechanical Engineering courses for hands-on teaching of electronics and instrumentation skills and for project work. The lab is located in KAIS 1210, adjacent to the Instrumentation Shop. 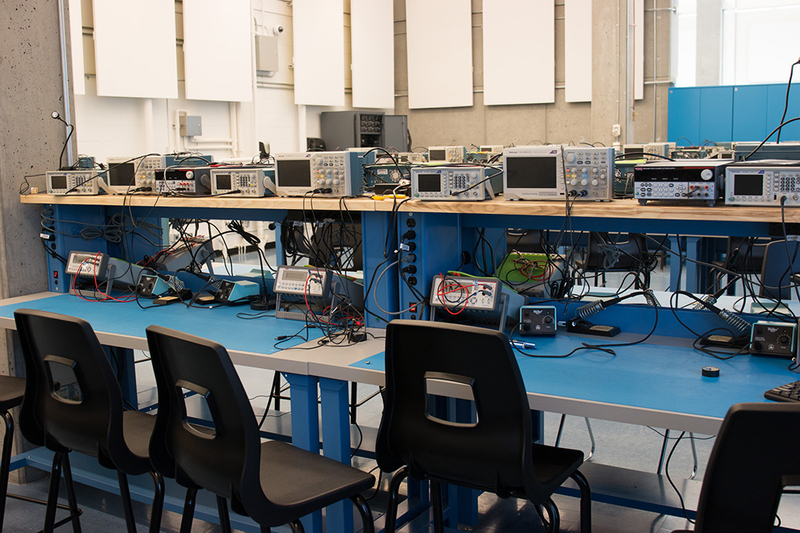 Each of the benches is equipped with two seats, two soldering irons, two waveforms generators, two oscilloscopes, two multimeters, and one shared DC power supply. Students in project courses are given limited 24-hour access to build and test electronic systems for their projects.